BETHESDA, MD—In a groundbreaking new study on the effects of stressful everyday events on the addiction patterns of average Americans, the National Institutes of Health found this week that upwards of 30 percent of those who quit smoking will relapse by raising a cigarette to their lips with trembling fingers as they agree to turn state’s evidence in a major federal case. “While more than half of all current tobacco users across the country attempt to kick their nicotine addiction, nearly a third wind up accepting a cigarette from a hard pack of Marlboros held out by an undercover cop, lighting it up with the officer’s Zippo after finding ther tremor-ridden hands incapable of lighting a match, and then spilling everything about their involvement in a major criminal conspiracy,” said lead researcher Dr. Evan Stuss, explaining that the strongest indicator of an incipient relapse are repeated denials that this could possibly be happening before inevitably letting a detective’s cupped hands block the wind on the rain-swept promontory while the cigarette in question is lit. 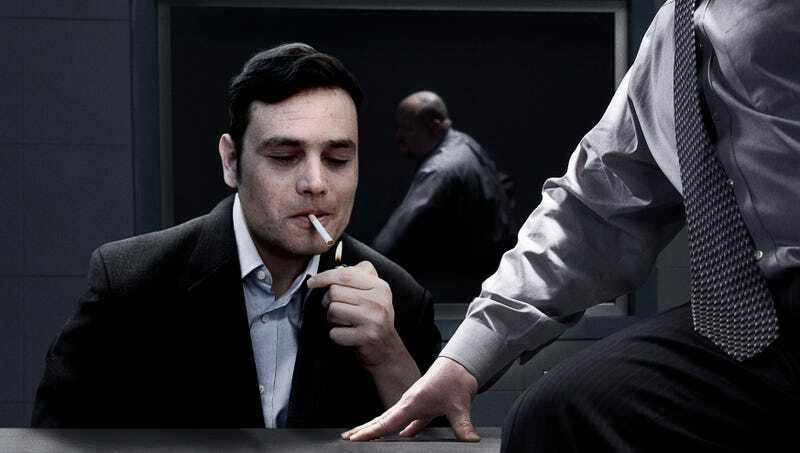 “Most addicts are successful in staving off cravings for a few hours, but once an implacable investigative team offers them immunity from prosecution and points out that they can’t be protected from the wrath of the shady investment bank, international criminal consortium, or Esposito if they don’t testify, fully a third of Americans tend to light up.” The study also revealed that 50 percent of former smokers either remain indecisive at this time and are being allowed to stew in their own juices for now while another 15 percent have firmly stated that they may be a lot of things, but they ain’t no narcs.